A couple of weeks back, I went to one of the plant sellers en-route my office. My plan was to get a plant nutrient called super-phosphate. According to one gardening book I bought a couple of months back, super-phosphate is a synthetic plant nutrient that can help plant bloom better. I primarily bought that nutrient because a number of my rose plants (actually a majority of them), except the three red ones and the only orange one and a pink one, that occasionally blooms a few times every year, have been disappointing me for the entire period I'm having these rose plants in my garden. None of them bloomed ever, since the time, I brought those home. Since I brought all the plants with blooms, except one, I know that all these plants bloom, so, trying my luck last on these before bidding them goodbye, in spring, next year. With the packet of super-phosphate, I brought home some saplings of Aster plant. The same day, as I came back home, I planted those four saplings to different pots, primarily the ones that already contain marigold plants. 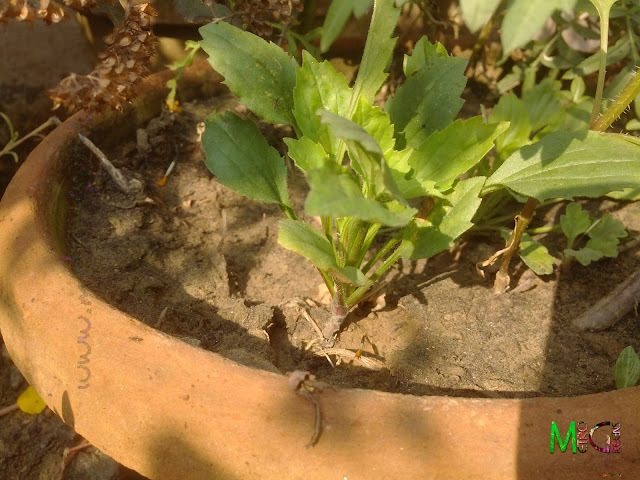 This, because, marigold roots are known to provide nutrition to the soil, and since the marigolds are blooming for over a month now, it's time for almost all the plants to die out. 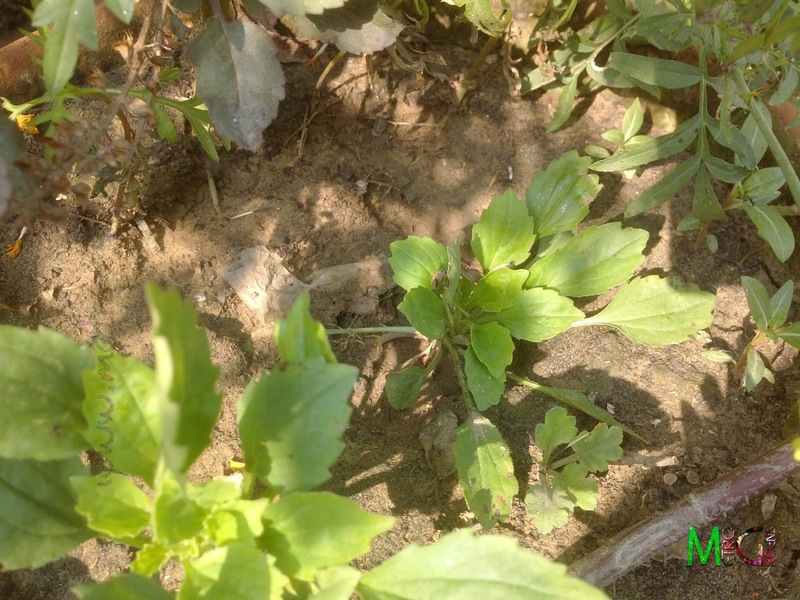 So, as per my expectation, by the time the aster plants would be ready to bloom, the marigolds won't be there. 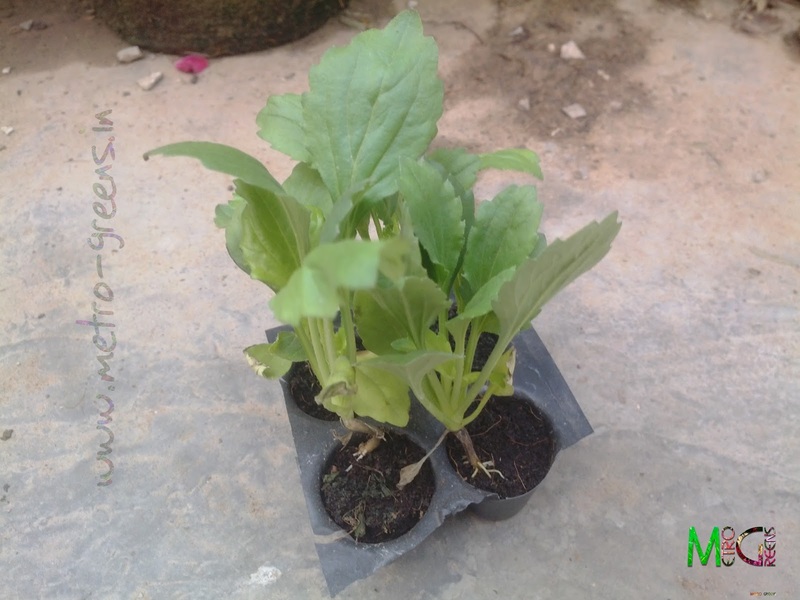 The seedlings I bought, planning to bring some colours to my winter garden. The seedlings, transplanted to pots. The seedlings are doing good in the pots, and I now see some buds too. All the four aster seedlings have survived, and are doing good. I'm expecting all of them to bloom within a month or so. Till then the chrysanthemums will fill the void, which are all laden with numerous buds, just about to bloom in the next couple of days. I will be back for sharing the post about my broad beans vine, I promised in my last post. I'm delaying that post because it is now bearing some fruits, so, I plan to include everything in that post. I'll be back with the post on broad beans in the next post. Till then, keep visiting and HAPPY GARDENING! Good planning with flowering plants.